Who doesn’t enjoy a nice cold glass of fresh lemonade on a hot summer day? Or perhaps a pleasant stroll through a lush lemon grove during peak bloom season? All around the world, the beloved citrus fruit known as the lemon is cherished for its gustatory and olfactory delights, adding a uniquely sweet-and-sour zest to our lives. But there’s a whole lot more to the simple lemon fruit than just its invigorating smell and pungent taste. For at least 1,000 years, lemon (Citrus limon) has been recognized as a powerful healing food with vast therapeutic potential. Its concentrated lemon oil is especially noteworthy, bearing an abundance of terpenes and other bioactive constituents that lend to lemon oil’s uses in a variety of applications. From helping to boost the immune system to supporting healthy digestion to elevating mood and energy levels, the essential oil of lemon is, as some would say, worth its weight in gold… and then some! Spanning many systems of medicine both past and present, lemon oil uses and reported health benefits are many. In describing these benefits using action verbs, one might include words like purify, cleanse, hydrate, nourish, soothe, invigorate, and regenerate. Lemon oil, it’s important to note, doesn’t refer to anything that comes from the inner fruit of a lemon that most people are used to eating or juicing. We’re talking about the volatile oil that’s extracted by cold-pressing the peel of a lemon − this is where a bulk of the fruit’s fat-soluble phytonutrients are found. It’s also where you’ll find lemon oil’s most effective and abundant weapon: d-limonene. Lemon oil contains upwards of 70 percent d-limonene, a citrus terpene also found in the peels of oranges, mandarins, limes, and grapefruits that research shows possesses both anti-inflammatory and anti-cancer properties. In vitro laboratory studies suggest that d-limonene can alter the signaling pathways within cancer cells in such a way as to stop them from multiplying. The compound has also demonstrated an ability to induce apoptosis, or cancer cell suicide. 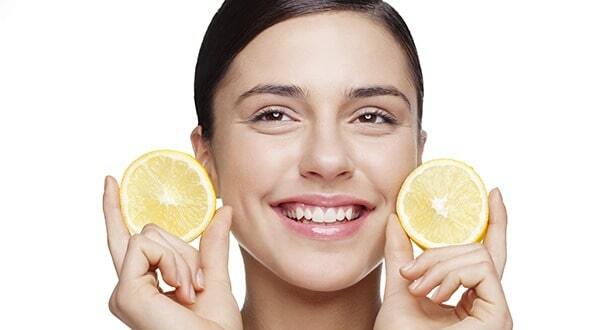 Other areas of interest for d-limonene include its use in antioxidant and anti-inflammatory support. Studies suggest that d-limonene can aid in flushing bad cholesterol out of the bloodstream while also protecting the gallbladder against gallstone formation. The liver can also benefit from d-limonene, which reportedly assists in enzyme production and detoxification. D-limonene is just one of many components that make up lemon oil, of course. You’ll also find l-limonene (d-limonene’s terpenoid counterpart), phellandrene, pinene, and sesquiterpene − all of which contribute to the synergistic power of lemon oil. In other words, as great as d-limonene is on its own, you’re better off taking advantage of its other constituent friends by consuming, applying, and inhaling full-spectrum lemon oil. The mood-lifting benefits of lemon oil represent another area of efficacy that’s worth noting, particularly with regards to the central nervous system. Science has shown that lemon oil can help to bring depleted dopamine stores back to normal levels, in turn helping folks to feel happier and more alive. Individuals who suffer from lethargy, anxiety, depression, and other feelings of malaise can benefit most from this, as simply breathing in the vapor of lemon essential oil on a regular basis can bring about emotional revitalization. With this in mind, diffusing lemon oil at home is a great way to support a healthy nervous system, as well as boost emotional stability. And since it’s safe to ingest (after all, lemon oil is one of the most common essential oils used in food manufacturing), there’s also the option of adding lemon oil to food or beverages for an even greater biological impact. Adding just a drop or two of lemon oil to water every day can help jumpstart metabolism, for instance, thus aiding in healthy weight maintenance. Lemon oil can also be used as a replacement for recipes that call for lemon zest. Many cooks go by the rule of thumb of 1/4 teaspoon of lemon oil to replace 1 Tablespoon of zest. Lemon oil is further beneficial for skin when mixed with a quality carrier oil such as coconut or jojoba oil, helping to nourish and moisturize it without chemicals. It also functions as an astringent, helping to tighten skin while giving it that little extra “glow.” Always test for sensitivity before using any essential oils on your skin and dilute heavily with a carrier oil until you know how your skin reacts. Last but not least, real lemon oil is a wonderful way to give your home a “lemony clean scent” without the use of toxic chemicals found in many commercial cleaners. Simply combine two parts lemon oil with one part tea tree oil and mix it with water and/or vinegar in a spray bottle. An important note: When using any essential oils to support your health, use only quality essential oils and always consult with a qualified healthcare practitioner who can help you address your particular health needs. Essential Oils from Organixx are among the highest quality oils available to consumers and are made with indigenously sourced plants retrieved from the world’s best sources. Willette RC, Barrow L, Doster R, Wilkins J, Wilkins JS, Heggers JP. Purified d-limonene: an effective agent for the relief of occasional symptoms of heartburn. Proprietary study. WRC Laboratories, Inc. Galveston, TX. For at least 1,000 years, lemon (Citrus limon) has been recognized as a powerful healing food with vast therapeutic potential. Lemon oil contains upwards of 70% d-limonene that research shows possesses both anti-inflammatory and anti-cancer properties. Ingesting lemon oil can also help improve digestive function. Science has shown that lemon oil can help to bring depleted dopamine stores back to normal levels, in turn helping folks to feel happier and more alive. Diffusing lemon oil at home is a great way to support a healthy nervous system, as well as boost emotional stability. Great article! Learned a lot about lemon oil! Will incorporate it into my diet! When will you start shipping to Canada? We ship to Canada currently. All you have to do is change the country your package is being shipped to. Are the lemons sourced alawya organic ????? So, are the ones used in your lemon essential oil organic? Our lemon essential oil is organic! Would you get the same benefit from the zest of a lemon if you freeze the lemon and then zest, or would it be better to zest the lemon and freeze the zest? Would that frozen lemon zest be as beneficial as the lemon oil? do you send to Denmark- and at what prices please ? We do ship to Denmark! The prices for shipping will depend upon what you purchase. This is a beautiful article! Good to know info. I got the Frankincense oil and would like to know the different ways to use and mix it for topical uses for your skin. I would also like to know the different uses for ingesting it and what proportions. Thanks for this information. Could you tell me if the Lemon oil would be beneficial for someone with pancreatic cancer and diabetes. If so, how should it be taken? Would it also be good for someone with IBS? If so, how should it be taken? Thanks for this information. Can someone with CML.use lemon oil ?If so ,how ?Orally or by diffusion ? Can you please give more specific ingredient amounts for the all-natural, non-toxic cleaning spray and disinfectant mentioned in this article? What has been written is very vague, and I wouldn’t want to waste any essential oils just experimenting! Thanks! Would ingesting the zest of the lemon skin, which contains the oil, have the same benefits as using lemon oil? Thanks. Your article says household cleaners made with lemon oil are safe for children & pets but it is my understanding that citrus oils are toxic to cats. So please use with caution if there are cats in your household. Thank you, Becky! I was thinking that too when I read it. I would have to look it up to check though. Cats are very sensitive to a lot of things and it’s really important to be careful with type of product(s), amount and frequency of exposure.